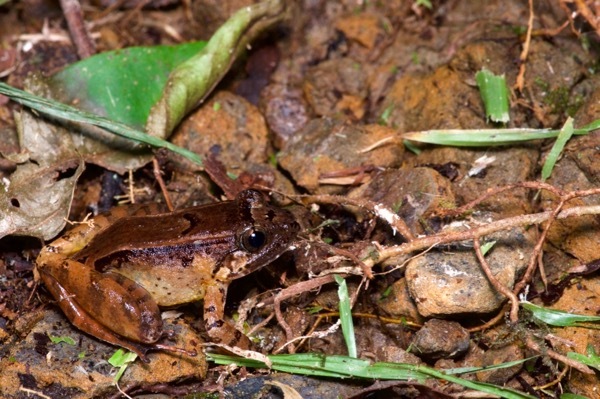 These are called "guardian frogs" because after the mother frog lays eggs on the forest floor, the father frog guards them. 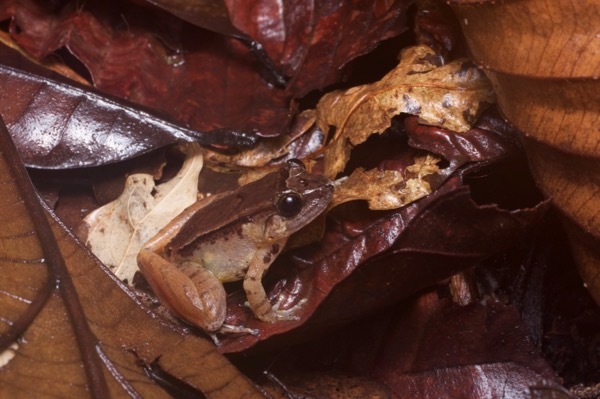 When they hatch, the tadpoles climb onto the father's back and are transported to a nearby stream or pond. 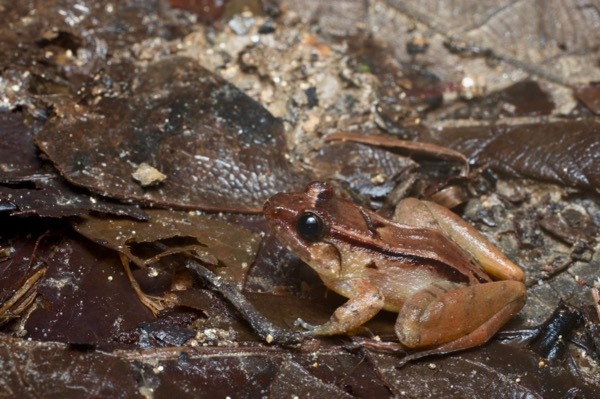 These frogs live solitary lives on the forest floor.